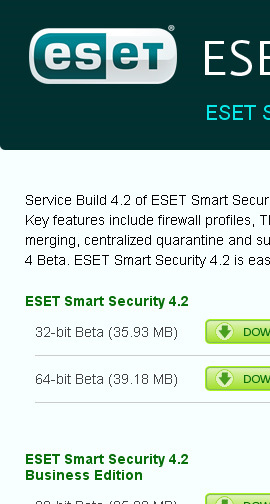 The ESET Beta site is simply the page that customers can go to to download and test out beta versions of new software. The site is open to the general public and anyone can beta test any of the available programs. I used Joomla as the CMS to set up the content of the information box so that others can change the content themselves without having to go through me. I also set up an OS detector so that if someone is using a Mac, the site will automatically redirect to the NOD32 for Mac beta page.